This amazing Banana Choc Chip Bread is my go-to recipe for when I have some ripe bananas hanging out in the fruit bowl. Can you believe that I have not made a Pavlova before? Over all the years that I have been baking, I have never attempted to make a Pav! I don’t know why I haven’t. Maybe I thought that it would be too difficult, or I would make it wrong, and it wouldn’t turn out. Well, I decided to have a go on the weekend and see what would happen if I made a Chocolate Mint Pavlova. A couple of weeks ago when we were travelling to a pub to have lunch with family, we drove past a stand at the side of the road selling lemons and limes. I love seeing this sort of thing. I got hubby to pull over and buy my a bag of each. They smelt so good. I couldn’t wait to use them in some baking. I started to look for a recipe so I could try out these lemons. I didn’t have any butter so this recipe I found was perfect. *I didn't have plain yoghurt. I used a berry yoghurt. Preheat the oven to 150°C fan forced/180°C. Line a cake pan with baking paper. 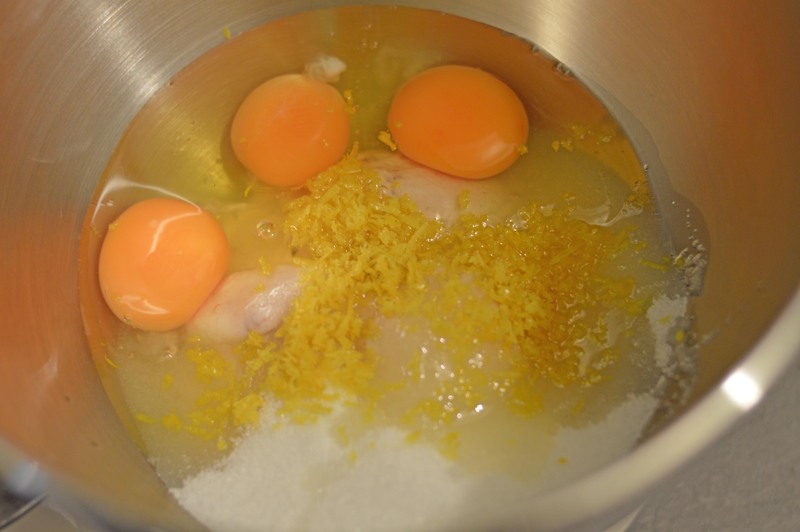 In a mixing bowl, beat together the yoghurt, sugar, eggs, lemon zest, vanilla and oil. Sift into the bowl flour, baking powder, and salt. Gently mix until combined. 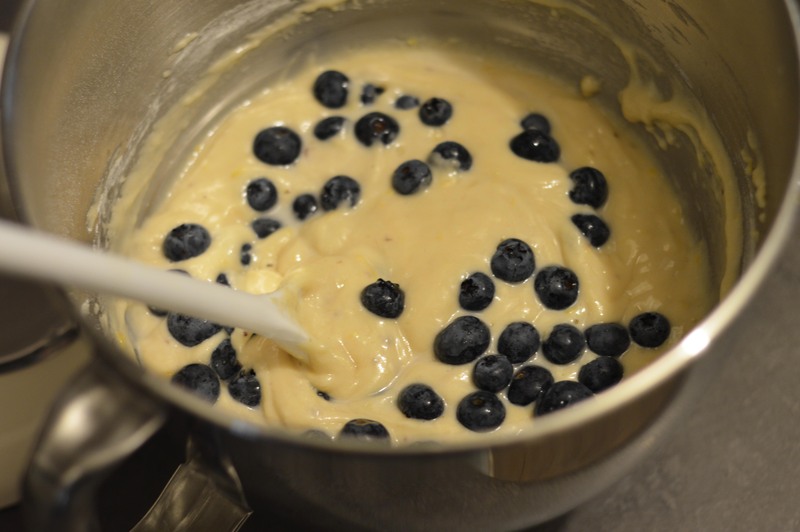 Gently mix in the blueberries into the cake batter. 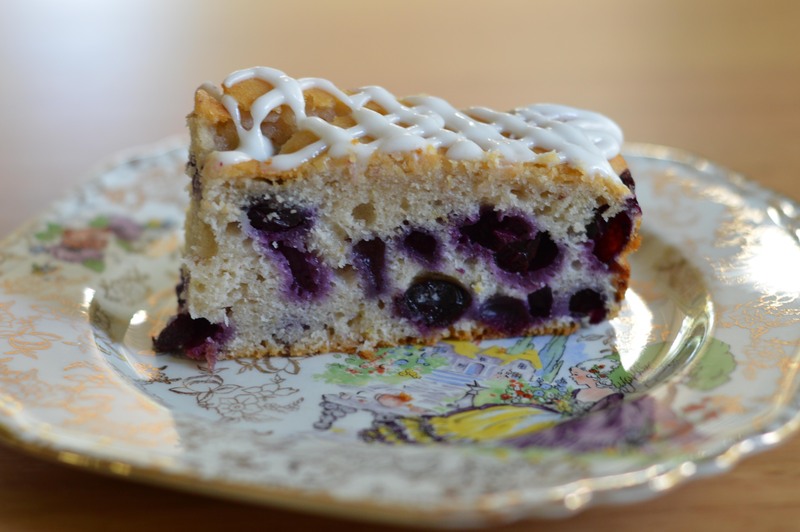 Pour the batter into the prepared pan and bake for about 40-50 minutes, or until a cake tester placed in the centre of the loaf comes out clean. 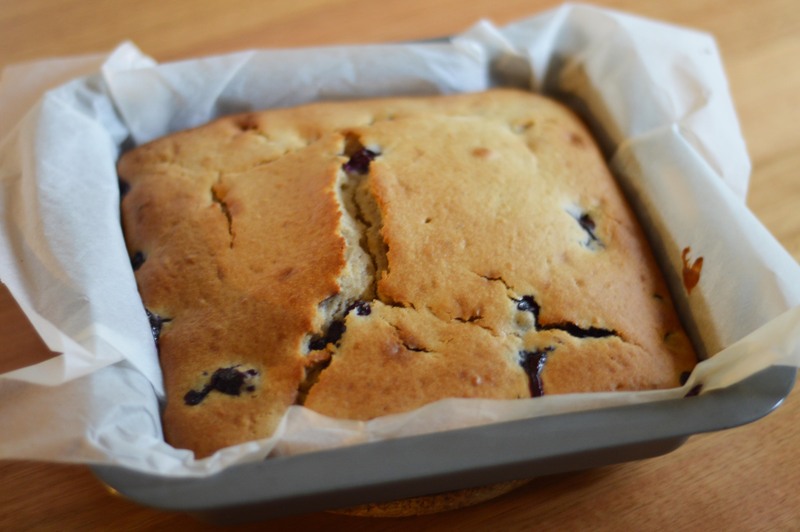 When the cake is done, allow it to cool in the pan for 10 minutes before taking it out and placing onto a cooling rack. I just mix together some icing sugar and lemon juice until it makes a nice thick pour-able consistency that you can drizzle on top of the cake. 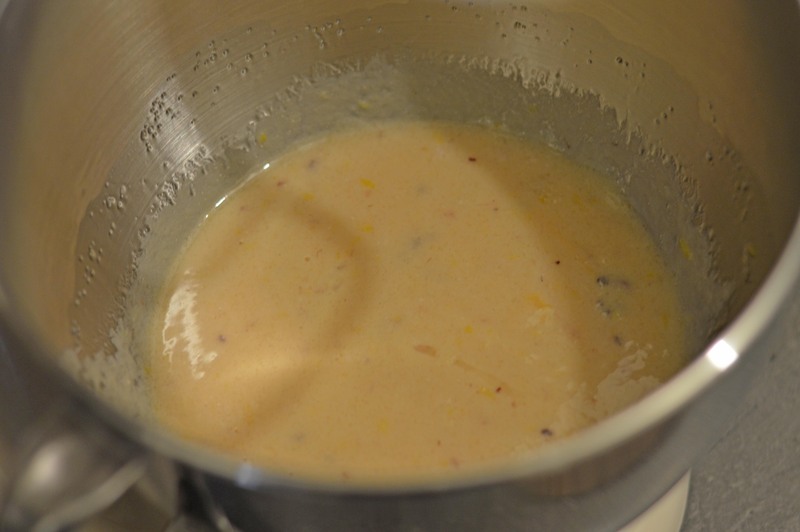 Add in a mixing bowl, yoghurt, sugar, eggs, lemon zest, vanilla essence and oil. Beat together. Sift flour, baking powder and salt. Mix until combined. Gently mix in the blueberries. Just out of the oven, smells amazing! The cake was delicious. It smelt so good and tasted even better. The texture was light. 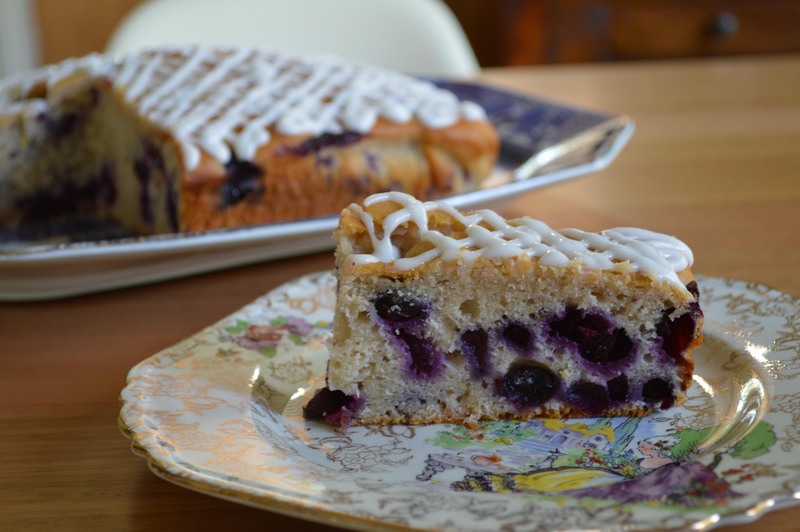 The flavour of the blueberries were wonderful. There wasn’t alot of lemon flavour in the cake but with the lemon icing it didn’t matter. You could probably add some lemon juice into the cake batter if you wanted it to be more lemony. We all loved it. The kids kept eating it and there is nothing left. 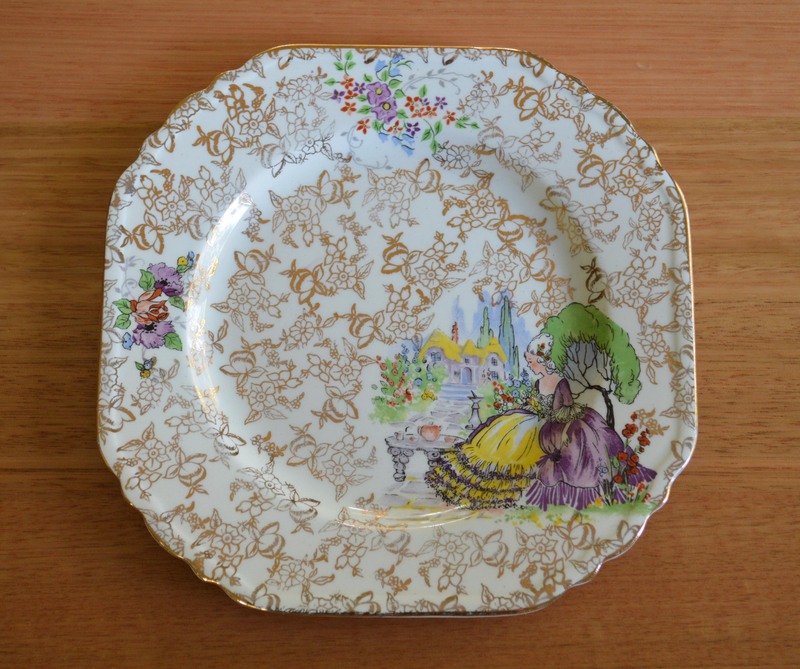 I also used a new plate that I found on a vintage find. I thought I would debut it with the delicious cake. 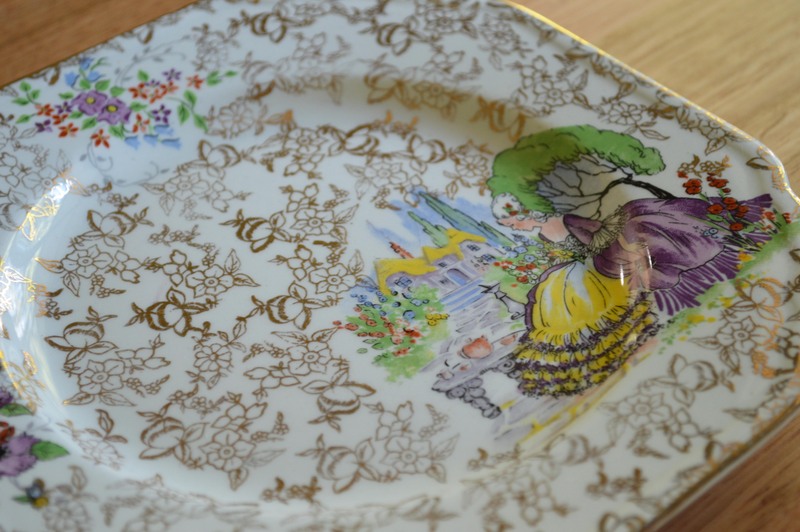 It’s so lovely and delicate. I love the picture of the lady in the corner. She is enjoying a cup of tea in the garden. What did you get up to on the weekend? Did you try out a new recipe? Hello, everyone! My day started with dropping the kids off at school, and then it was busy with driving around town running errands. 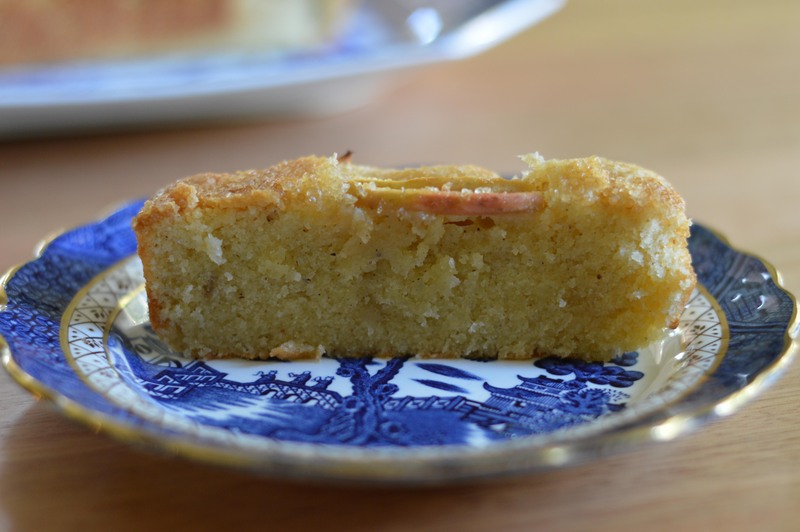 What I wanted to do was come home and share with you this delicious Cinnamon Tea Cake. 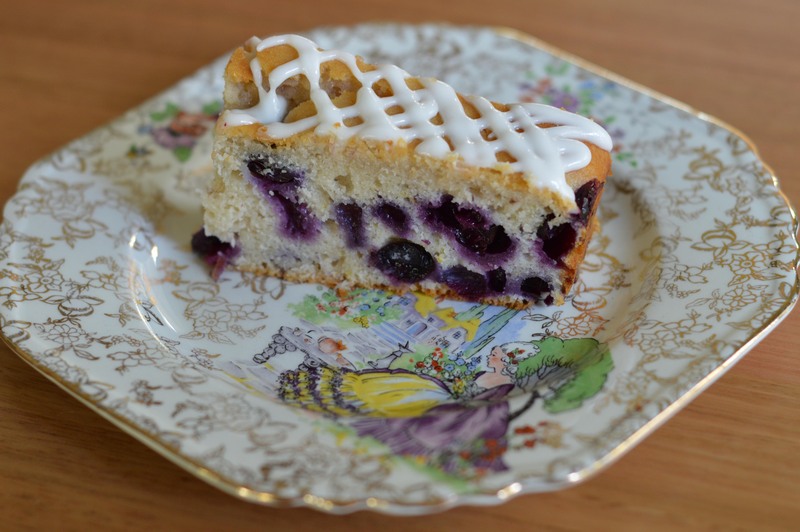 I found this lovely cake recipe over at bear loves dove. I was waiting for a time to get into the kitchen and make it. 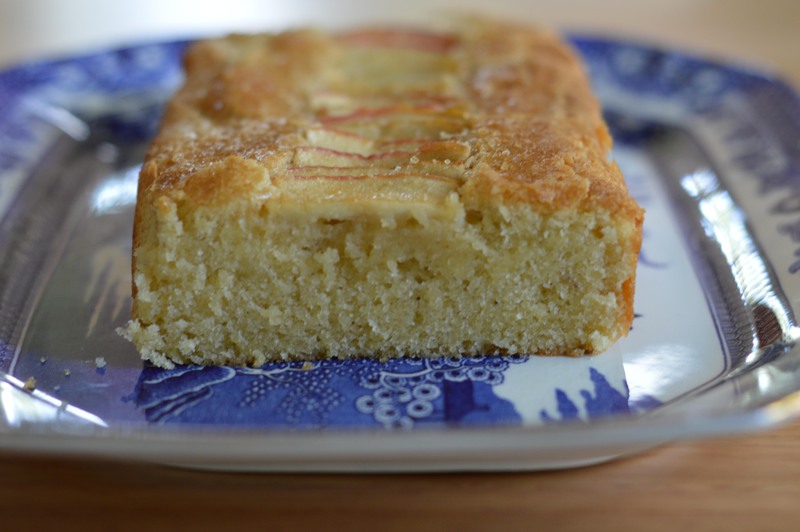 I like trying out different cake recipes that don’t require plain or self raising flour as part of their ingredients. 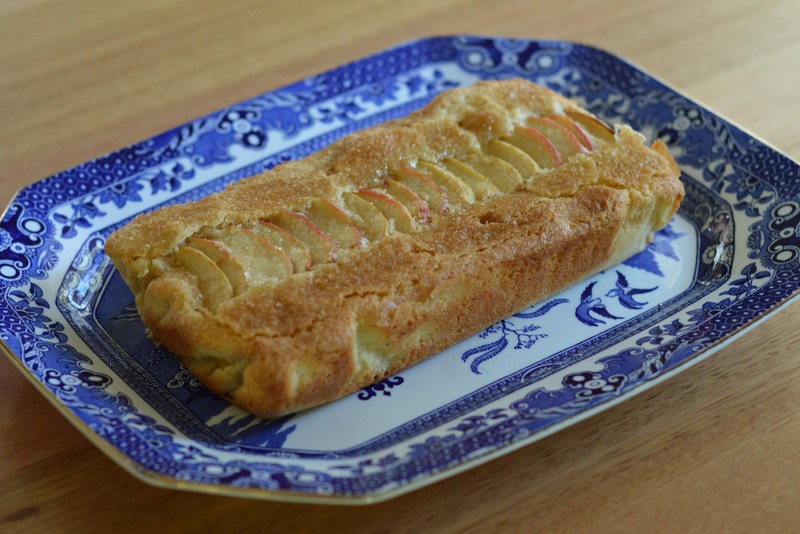 This flourless apple ripple cake is made out of almond meal and rice flour. 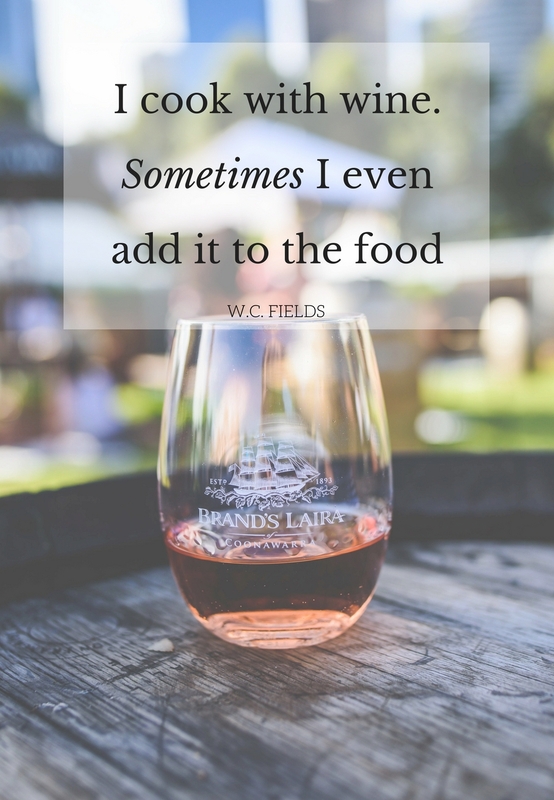 I always say, don’t be afraid of trying different ingredients as you can be quite surprised as to how it turns and what it tastes like. Line a loaf pan with baking paper. Beat the butter and sugar until a pale colour. Add nutmeg and vanilla essence and mix. Then add the almond meal and rice flour (I sifted the almond meal and flour to make the cake batter more light) Now carefully mix until just combined. Don't over mix as it will make the cake heavy. Pour your batter into the lined loaf tin. 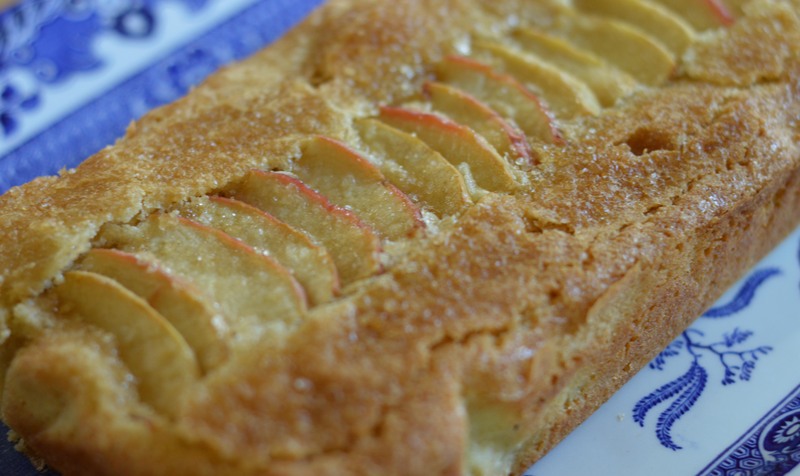 Slice your apple into thin little slices and arrange on top of the cake. Sprinkle with as much or little demerara sugar as you like. Bake in the oven for 30 minutes or until cooked. Test with a cake tester. Once cooked take out of the oven and you can serve it straight away while it's nice and warm. The cake was a success! Everyone enjoyed it and it’s all gone! The taste: nice flavour, not too sweet, yummy nutmeg taste throughout. The texture: light, not dense, lovely topping. I will definitely be making this again. Loved it! 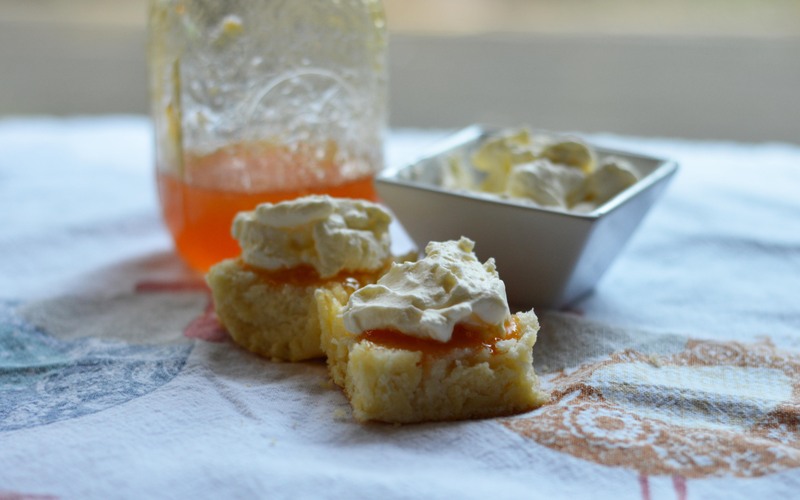 Thank you bear loves dove for sharing this recipe. My dad was our very special lunch guest on Sunday at our place. I always like baking him something that he really enjoys eating. 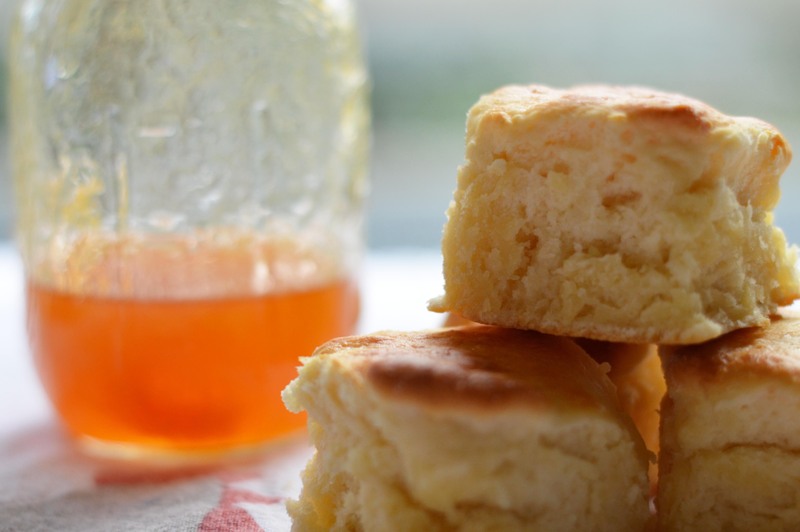 So I decided on making some scones. 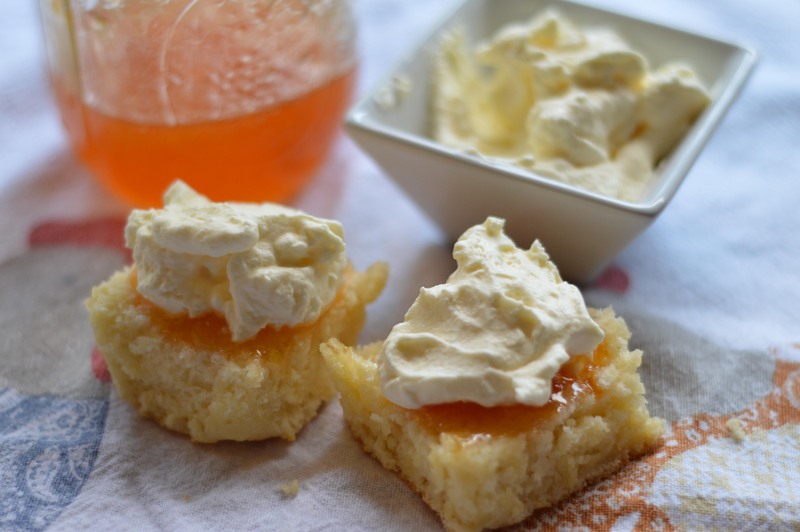 It is nice having scones for lunch as a special treat especially with our homemade jam and freshly whipped cream, yum! 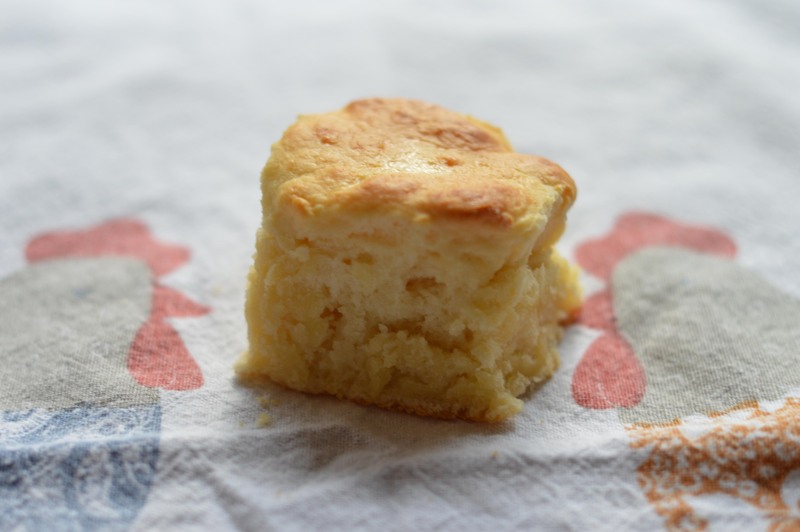 This recipe is good to double and you can freeze the leftovers. 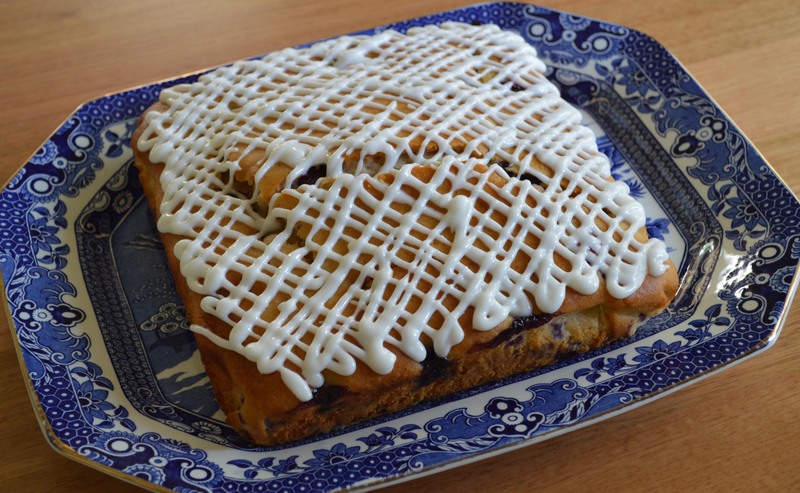 Line a tray or baking dish with baking paper. 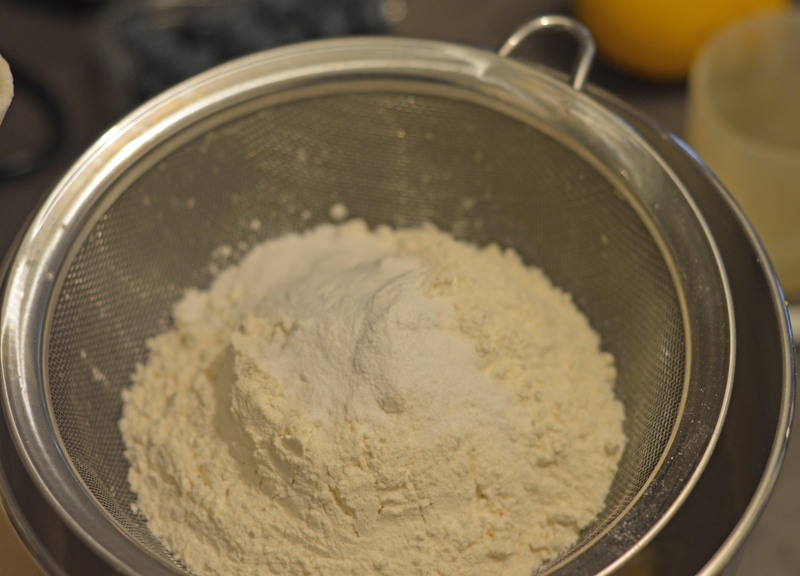 Sift self raising flour into a mixing bowl. Add lemonade and cream, then mix until just combined to form a soft dough. Do not over mix. Place the dough onto a floured surface and gently roll out to 2cm thick. 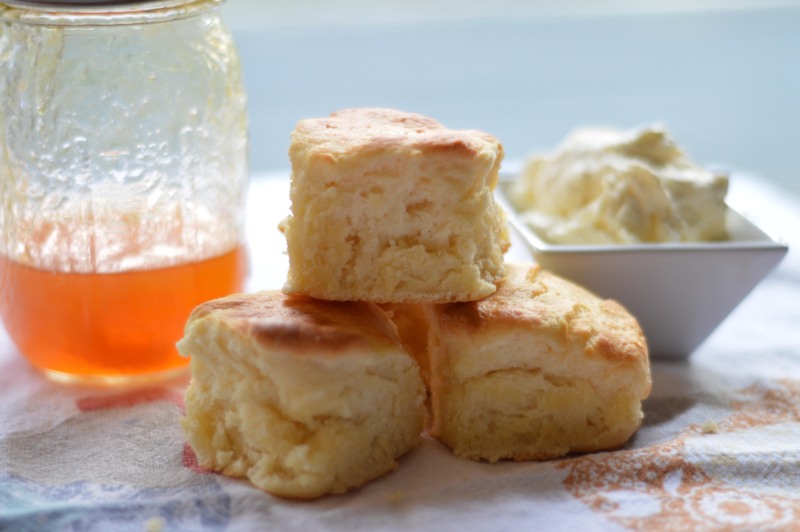 Gently cut out the scone shapes using a floured cutter. Place close together on tray, brush with milk and bake for 10-15 mins. 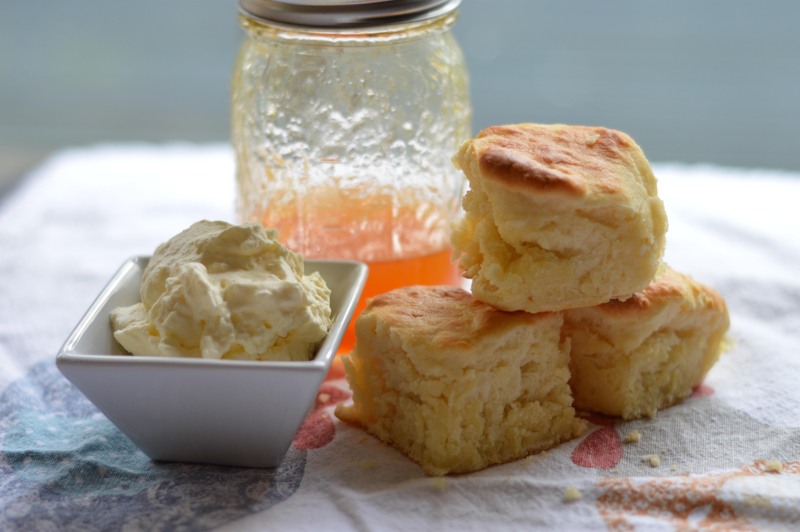 The scones should be cooked in the middle and lightly brown on top. Once cooked, serve with jam and fresh cream. After the scones are done, I put mine in a serving dish. I use a large white casserole dish that I bought from Ikea a few years ago and line it with tea towels. I put a couple of folded tea towels on the bottom then lay a tea towel open in the dish. I place the scones in the opened tea towel then wrap the corners over and place another tea towel on top. In the end, I probably use too many tea towels but my mum used to do it this way and it does keep the scones warm while we enjoy eating them. Happy baking, enjoy! Preheat oven to 150°C fan forced/170°C. 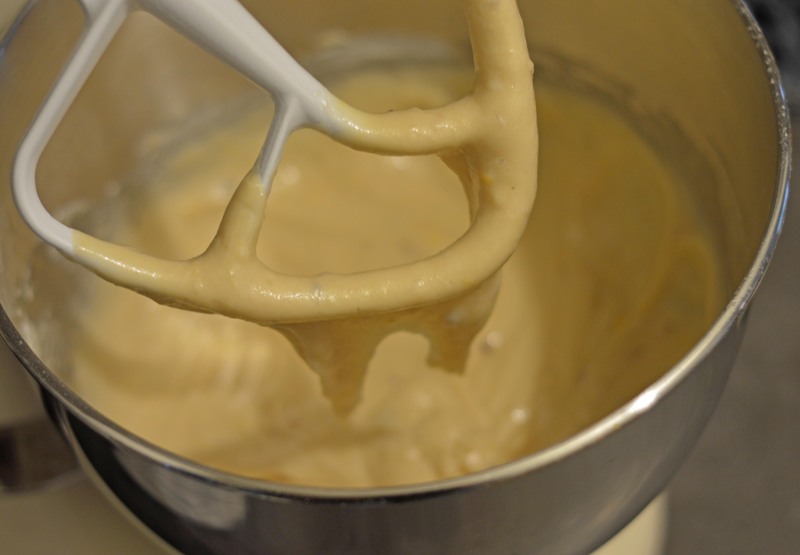 Cream together the butter and sugar with an electric mixer until light and fluffy. Add vanilla and milk. Beat well. Then add the flour, salt and baking powder. Mix well. On a floured surface roll out the dough until the desired thickness, about .6cm or just under 1 cm. Cut out shapes using any type of shape cutter. I baked the cookies for 8 mins. They were just barely done and were nice and soft. Once you have taken them out of the oven, wait a couple of minutes then transfer to a wire rack to cool. Once cool, then you can decorate them any way you want. These were a fantastic cookie to make. The dough I found to be very stable when using the shape cutter. 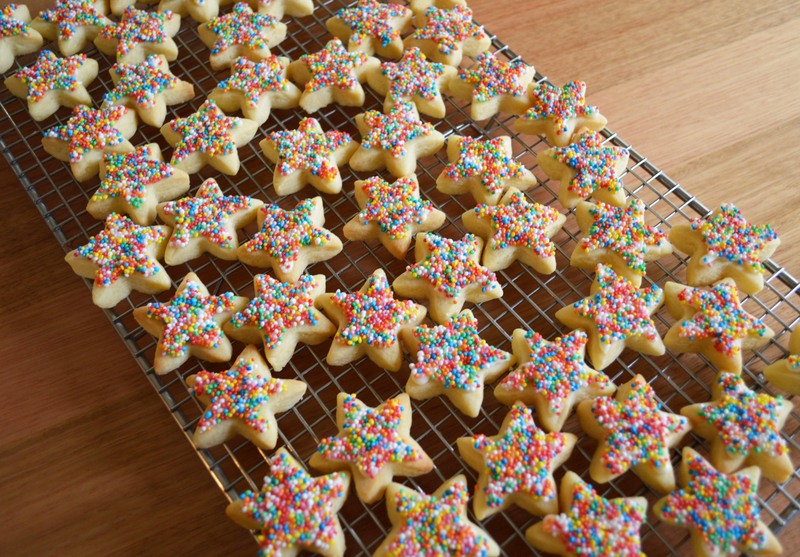 Even after baking, the cookies stayed in the star shape and didn’t come out misshapen. 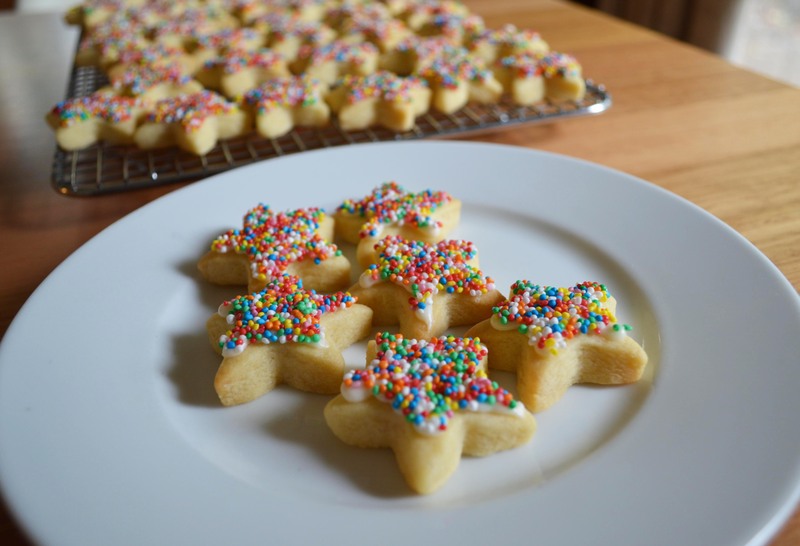 The cookies were lovely and soft and a great all-rounder cookie recipe. I am going to use this recipe for our Christmas cookies. 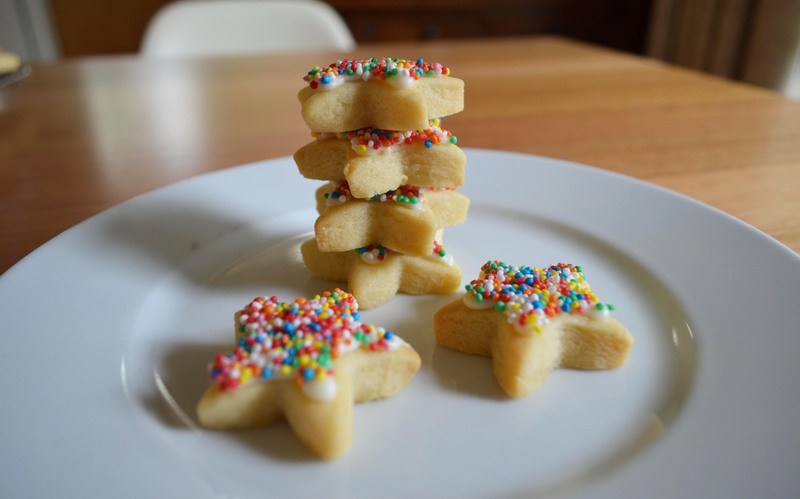 I look forward to trying out all the different Christmas cookie cutter shapes. Happy baking!